I've had my eye on a shirt similar to this for awhile now. I originally had found it on Ily Couture's website, but they want $46 for it, and I'm pretty sure I would pass out if I paid that much for a t-shirt. So I went to Etsy and discovered Shirt Market. This shirt is so comfy and high quality, and I like the V-neck so much better than Ily's scoop neck version. The best part is that this shirt is only 15.99... which is a lot easier to stomach than $46. The owners of Shirt Market are super quick to respond and awesome to work with. 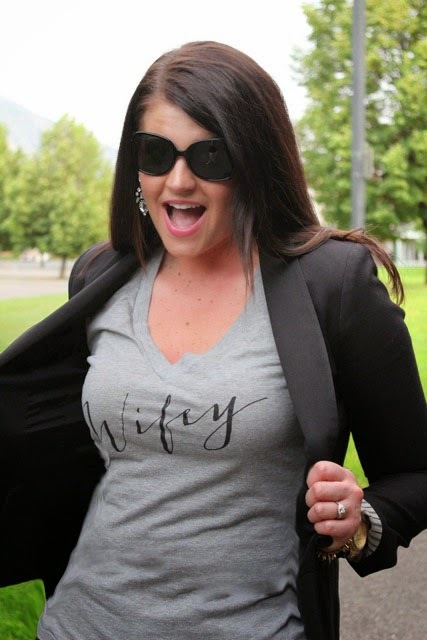 They are so awesome that they have agreed to give one of our readers a Wifey T-shirt of their own! The giveaway runs from today until Friday. Use the Rafflecopter below to get your entries! Good luck! AHHHHHH. I love that shirt! (and the shoes too!) 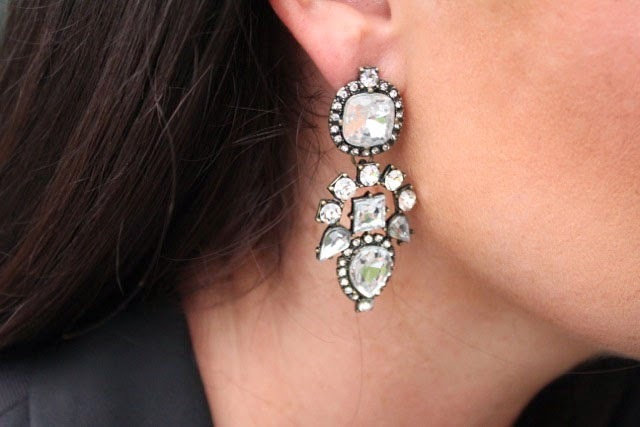 I wanted so badly to have something like this for my wedding day/weekend, but luckily we haven't got on our honeymoon yet and it would be a great accessory! Plus, just so cute for all the time. Seriously though - I'm dying. It's so cute. I love it so much! And the price point is amazing, so if you don't win then its not terrible. But I hope you win! She Is clothing has cute shirts ! So fab! 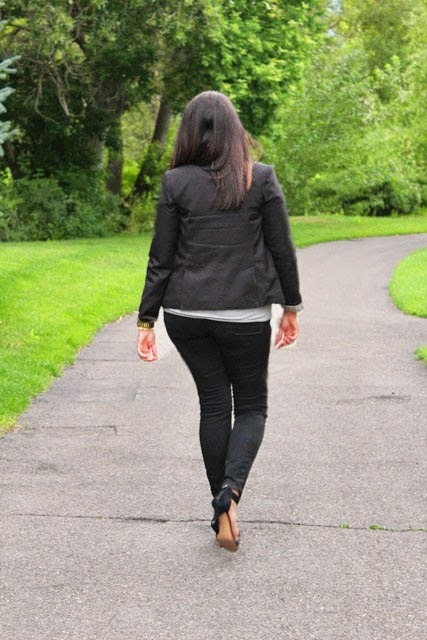 I love pairing blazers with everything, my go to outfit. Blazers are the best! I wear them basically everywhere!